I just play the mod but is not hard. I change for a version longer and hotter than the original. Ceiling is 10% to 15% stronger. The normal enemy is 20% stronger but gives low experience and money. The HP and MP are 5430/670 cap but at the beginning, a very low HP. Powerful Boss in Statistics and a Better HP Raise high The new next level for level 1 equal 1000 exp. For total level 99 = 15 millions expériences max The jobs received as they go have better basic stats than the one at the beginning. Magic costs 45% more MP All jobs have two innate abilities All armor add + 1 to all defensive stats Weapon is 20% more dommage. Monster exemple: is Rapthor orginal 1- damage 132 -143 LV 1 HP 724 2- damage 88 -93 LV 1 HP 679 3- damage 62 -66 LV 1 HP 634 4- damage 42 -46 LV 1 HP 589 5- damage 22 -25 LV 1 HP 544 6- damage 20 -23 LV 1 HP 499 Monster exemple: is Rapthor NeW ! 1- damage 192 -264 LV 1 HP 1429 2- damage 133 -180 LV 1 HP 1340 3- damage 94 -130 LV 1 HP 1251 4- damage 69 -93 LV 1 HP 1162 5- damage 46 -61 LV 1 HP 1073 6- damage 33 -42 LV 1 HP 984 The version use Roms Jap version sfc Credit the members praetarius5018 The link it is http://www.mediafire.com/file/ynbiylwh42h2d1p/FF5_void_divergence_v0782HARD.rar/file Enjoy the play the game is verry long journey ! Happy gaming ! The mod is other version for Final fantasy 9 Ps1 but it is small There are things that look alike. https://i.imgur.com/bpUjkEz.png Possible change the picture for next version. https://i.imgur.com/ALAbcd7.jpg The fund, comes from one of my drawing and 100 hours the work.. https://img00.deviantart.net/bb12/i/2016/311/5/5/colorsair_by_donaemangel-dann2wl.png Th max Exp to version is 55 000 000 and past level 99 is 3 500 000 million. Hp and MP max is 9999 But it is impossible to past 5000/6000 or more. Exept Unless you made a verry low level challenge. Is possible learn the Synthesis Excalibur 2, only use Excalibur and Save the Queen. The weapon, armor, and items add 15% to price the orginal Weapon, armor stats is - 1/4 the base stats. Max bonus possible is +14 and +12 to 4 variety Gems stone, find begin the CD 3. Possible buy the Gems stone to Cleyra begin CD2 Gems stone is possible able learn the cool skill, eidolons,Blue magic,Passive skill and other good skill. All skills learn 111 AP only. Items add change- Potion (450 HP heal) Hit-Potion (1500 HP heal) Ether(450 MP heal) New items Hit-Ether(1500 MP heal) Ether and hit-ether is possible bonus stats add magic, Siprit ,equipe Items Accessory Writs location, Elixir add + 4 all bonus. Ore add +2 bonus and abillity +10 HP% +10 MP% and long reach. Phoenix Pinion add +1 all stats, half Fire, ice, thunder magic and learn Phoenix, MP attack, High Jump. Gysahl Greens add +2 all stats and learn Regen, Might, Jewel. And other new items... The commande is change. 1- Zidane use commande Steal and Skill hero 2- Vivi use commande Mage Int and Focus 3- Dagger use commande Mage Help and Mage Int 4- Steiner use commande Mix Art and throw 5- Freya use commande Jump and Dragon Wht 6- Quina use commande Jump and Blu Act 7- Eiko use commande Secret X and Mage Help 8- Amarant use commande Chakra X and Throw 9- Cinna use commande Jump and Mage Help 10- Marcus use commande Steal and Secret X 11- Blank use commande Throw and Mage Int 12- Beatrix use commande Dragon Wht and Chakra X 1- Mage Help 26 spells Magic: white mage / black mage / summoner Shiva, Ifrit, ramuh, atomos, odin, leviathan, bahamut, ark, cure, cura, curaga life, full- life, scan, panacea, stona , esuna, holy, fire, blizzard, thunder, shell, protect, fira , blizzara, thundara. ---------------------------------------- 2- Secret X 26 spells Magic white mage / black mage / summoner atomos, odin, bahamut, leviathan, ark, fenrir, carbuncle, phoenix, madeen, thunder, blizzard fire, doomsday, break, death, comet , demie, drain, osmose, bio, jewel, focus, panacea, scan , life, cura. ---------------------------------------- 3- Mage Int 28 spells Magic Blue mage / black mage / summoner fire, fira, firaga, blizzard, blizzara, blizzaga, thunder, thundara, thundaga, osmose, drain demi, comet, death, water, meteor , doomsday, Pumpkin head, 1 000 needles, limit glove, Bad breath, Lv3 def-loss, lv 4 holy, lv 5 death , odin, ramuh, ifrit, shiva. ---------------------------------------- 4- Blu Act 26 spells Magic white mage / blue mage / black mage shell, protect, haste, silence, mini, reflect, confuse, berserk, blind, float, dispel, might, magic hammer, mustard bomb, frost, vanish , white wind, frog drop, angel’s snack, earth snake, twister, night, pumpkin head, 1 000 neadles , limit glove, bad breath. ---------------------------------------- 5- Skill hero 18 spells Magic Thief / Hero male/ Monk Flee, detect, What’s that !? , soul blade , annoy , sacrifice , lucky seven , thievery , free energy , tidal flamme , scoop srt , shift break , stellar cicle 5 , meo twister , solution 9 , grand lethal , chacra , spare change , aura . ---------------------------------------- 6- Dragon wht 21 spells Magic dragon / warrior / white mage lancer, reis’s wind, dragon breath , white draw , luna , six dragoon , cherry blossom , dragon crest , chakra , no mercy , revivre , power break , armor break , mental break , magic break , cure , cura , regen, life , panacea ,esuna . ---------------------------------------- 7- Chacra X 19 spells . Magic warrior / Command / Monk climhazzard, stock break, thunder slash , charges ! , steel , jump , defend , flee , mug , spear, focus , lv 5 death, lv 4 holy, lv 3 def-loss , chakra , no mercy , aura , curse , revive ---------------------------------------- 8- Mix art 18 spells Magic warrior / Hero female / ninja Fire sword, fira sword, firaga sword, blizzard sword, blizzaga sword, blizzara sword, thunder sword, thundara sword, thundaga sword, magic break, demi shock, countdown , darkside , minu strike , iai strike , power break , armor break , mental break . Download is two version, Normal Mods or HD Mods. The link is here...* [Links redacted] * Copie past only the two folder, StreamingAssets and x64 or use .hws. I am use tool Perfect Compresse. [Links redacted] Credit is [FF9] General editor - Hades Workshop for Tirlititi and Fraggoso for the HD mods. Thanx for all so much.. Enjoy the new gamePlay..
Hello i am finish me mod version 1.0 but have not time to test all game... If anyone wants to give their opinion on getting new mod hard. Let him be welcome. In this mods the background colors are modified and retouched or otherwise the same but more beautiful. The difficulty is longer and harder than the original even only the HP has been modifying and the value of the AP and experience have been reduced from X 3 around. The color of the monsters have been changed .. The cost of GFs is only available after learning the ability to call them Level 1. The abilities of GF now appear with their levels and not once a precise skill learned. The characters were retouched to be less pixelized. The magic attacks are 2X less powerful, but for magic, you throw two in a single attack. The experience is longer for your characters and GF but their exp are now degraded, the levels are longer as the game progresses and not always the same figure exactly. The text and other original story is not change..(..) But Picture in game ! https://image.ibb.co/ccHRJw/01.png https://image.ibb.co/bAuvBG/21.png https://image.ibb.co/nhraBG/20.png https://image.ibb.co/iSPvBG/19.png https://image.ibb.co/mcx45b/18.png https://image.ibb.co/mzLfdw/17.png https://image.ibb.co/jnO0dw/16.png https://image.ibb.co/i6UHQb/15.png https://image.ibb.co/d418WG/14.png https://image.ibb.co/mH4TWG/13.png https://image.ibb.co/g3xFBG/11.png https://image.ibb.co/n44vBG/10.png https://image.ibb.co/murxQb/09.png https://image.ibb.co/imGLdw/08.png https://image.ibb.co/djZTWG/07.png https://image.ibb.co/bYpvBG/06.png https://image.ibb.co/iyrmJw/05.png https://image.ibb.co/ivgxQb/04.png https://image.ibb.co/n1pTWG/03.png https://image.ibb.co/bDNFBG/30.png https://image.ibb.co/gMETWG/29.png https://image.ibb.co/b2ooWG/27.png https://image.ibb.co/k86aBG/28.png https://image.ibb.co/fZkwJw/12.png https://image.ibb.co/i6UHQb/15.png https://image.ibb.co/nP5JWG/23.png https://image.ibb.co/gY0Vdw/24.png https://image.ibb.co/bF6QBG/25.png Once you have download the file for this mods. Long journey of Hard : File '2.6 G' Here Deleted because it contained the game itself, not just a patch. ~Kjata Install the mods. 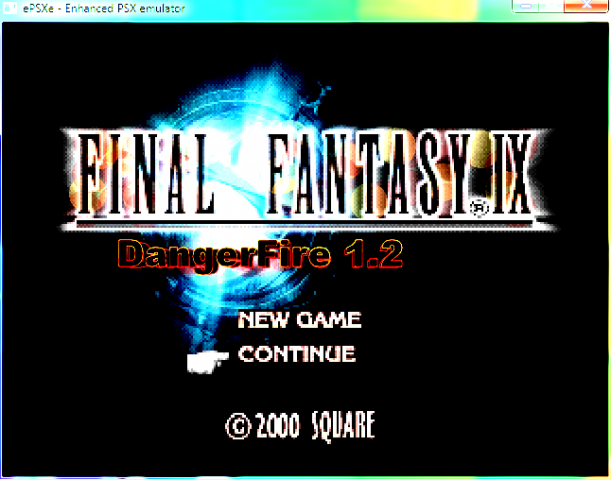 Go to the folder where you install your FINAL FANTASY VIII on Steam! Copy all the files in this location except Slot 1 slot 2. for the saving of the mod. Use the backup on slot 1 and place it in the folder where your backups of this games are placed. Change the number if you want other than the number 1. Also change to the prefs file the info you want to use the Textures folder. Then Happy, Good luck and good games!